How the best players in the world see one of CS:GO's OTHER recent major changes. Inferno has always been one of the most iconic maps in Counter-Strike, both in 1.6 and Global Offensive. Many of the biggest tournament finals have ended on the map, along with some of the most memorable plays of all time. Almost every pro team knows exactly how to play it, and as a result Inferno matches were often the closest and most unpredictable. 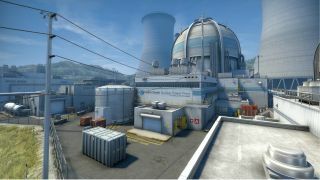 Earlier this year, Valve dropped the bombshell that Inferno was to be removed from the Counter-Strike: Global Offensive active duty map pool and replaced by an updated version of Nuke. This change would have a major effect on the pro scene, as what felt like an entirely new map was replacing one of the staples of pro CS:GO. Teams would have to adapt quickly and devise new strategies for Nuke while forgetting everything they knew about Inferno. A few months after the switch, teams have started to play Nuke more and more, with mixed results. Many of the top squads are comfortable on the map, whereas others are still banning it out. It has certainly shaken up the pro scene, but it seems like the top players in the world can’t quite agree if this was a good change or not. This opinion seemed to be shared by many pro players when the switch first happened, as many players were critical of the map on social media and the majority of teams banned out the new Nuke in any pro matches. However, one team that seemed to be happy about the change was Ninjas in Pyjamas, who were one of the best teams on the old version of Nuke. The original version of Nuke was a very divisive map. Some teams, such as NiP, would always pick it, while others would avoid it like the plague. This new version seems to have a similar reputation, but even players who were considered to be some of the best in the world on the original version are still not sold on new Nuke, and preferred the Inferno map that it replaced. Of course removing Inferno was always going to annoy some people, especially the teams that played the map a lot. But looking at the competitive map pool there aren't all that many other options to take out, as the maps are all pretty settled outside of Nuke. Interestingly it was captain of the current world champions, SK Gaming, who offered up some alternatives that could have been replaced by Nuke. SK Gaming's FalleN. Photo credit: ECS. Again it was Ninjas in Pyjamas who provided a vastly different opinion on this matter. Team coach and Counter Strike 1.6 legend Björn "THREAT" Pers gave his thoughts on Inferno’s removal. Regardless of the players’ opinions on the Nuke and Inferno switch, they will have to get used to playing the new version of Nuke. Having a map that you just cannot play gives a team a serious disadvantage at the pro level. However from the pros that we have spoken to it certainly seems that this may not have been the right time to make the switch. There are still a lot of issues with Nuke, which really need to be sorted out quickly, while the classic Inferno map remains one of the best CS:GO maps of all time. What the future holds for these two maps is unclear, but right now it seems that Valve may have acted too hastily on this one.